This idea is completely genius! I believe I saw it browsing around on Facebook or Pinterest a couple months back and knew I had to start saving all of my veggie scraps, or veggies that were starting to pass their peak. I started saving them in a gallon Ziploc freezer bag. A few weeks passed, and before I knew it, the bag was full and it was time to make me some homemade stock! All of the veggies I froze did well being frozen, except the carrots. They turned brown, so maybe blanching them previously to freezing helps, or just adding them fresh at the time of cooking. After the stock was finished, I froze it in glass jars. Thawing is easy that way and they fit right in the door of the freezer. This method of making your own stock, out of stuff you'd normally throw in the garbage, is a great money saver! It's also a great way to cut canned stock, or bouillon out of your diet. Thaw veggies. 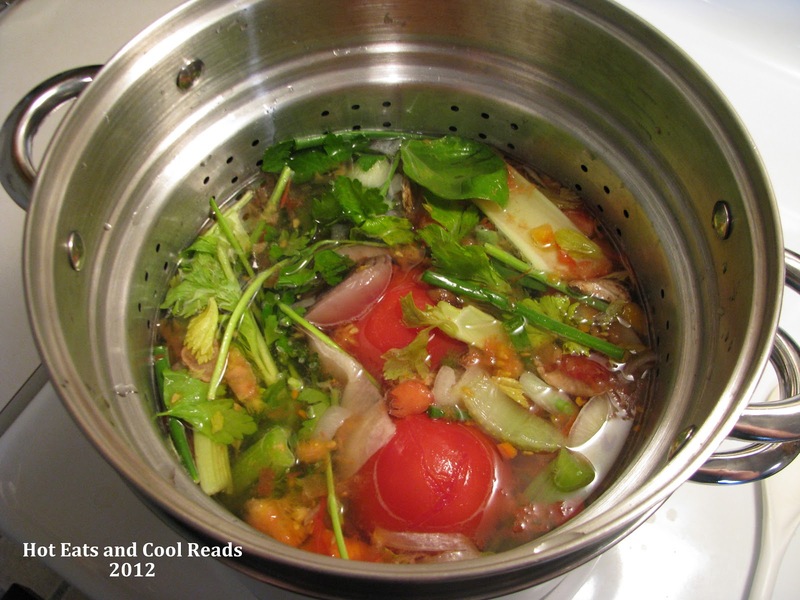 In a large stock pot, cover veggies with water. Bring to a boil over high heat, reduce to a simmer, and continue simmering for 1-2 hours or until veggies have cooked down. Strain with a wire mesh strainer and discard veggie pulp mixture. Freeze broth in ziploc bags, or jars! I love making chicken stock but I've never made a vegetable stock, will have to remember this when I'm cleaning out the vegetable bin! Thanks for sharing. Your welcome! I haven't made chicken stock yet, but plan to soon! I do this all the time, although I do not thaw my vegetables first. Do you really think that makes a difference? I might have to try it and see. Thanks so much for the feature Tiffany! I appreciate it! !